Twist measurement is a critical factor in the quality control of wave-shaped workpieces to ensure that the seals function between the shaft and sealing ring. When processing workpieces, "twist structures" occur. These are periodically occurring characteristics on rotationally symmetrical surfaces - at the point where the shaft meets the sealing lip. This compromises the sealing function between the shaft and the sealing ring. A distinction is made between macro and micro-twist depending on the characteristics and occurrence. 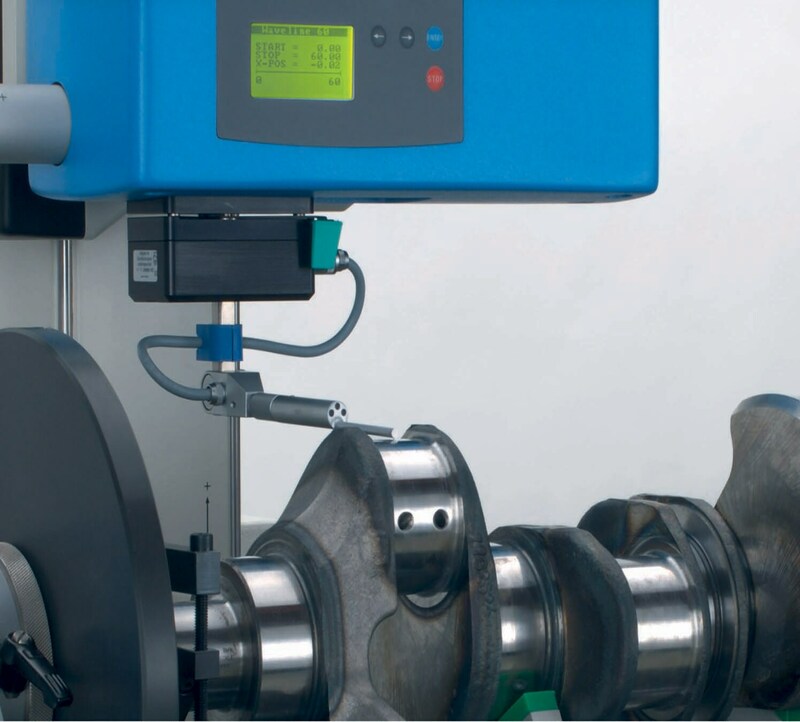 Jenoptik form and roughness measuring systems can also be used for twist measurement. Our measuring systems do not only detect standard-compliant measured data for roughness and form - the form measuring instruments can also be fitted with a roughness probe so that three-dimensional twist structures can be captured. The roughness measuring systems require a rotational device. This allows key values to be calculated based on specific twist parameters. The twist measurement technology from Jenoptik meets the criteria of the Mercedes-Benz standard MBN 31 007-7 in its revised version of 2009. The TwistLive® quick twist test is also based on the Daimler standard MBN 31 007-7. This test uses a specially developed evaluation method in which measuring times are shortened by up to 75 percent, so you can save time and resources. The results of the twist measurements can even be forecast in real-time during the measurement run. Twist Depth, Dt [µm]: Maximum vertical distance between the wave peak and wave valley on the measured twist surface. Number of Threads, DG: Number of periods in the peripheral direction relative to 360°. Theoretical Feed Cross Section, DF [µm²]: Cross sectional area of a period length in one axial section of the twist surface. Theoretical Feed Cross Section, DF/Revolution, DFu [µm²/U]: Cross sectional area of a period length in one axial section of the twist area, multiplied by the number of threads. Period Length, DP [mm]: Distance between two consecutive wave peaks or wave valleys in an axial direction. Percentage Contact Length, DLu [%]: Measure for the theoretical enclosure of the wave surface by the sealing lip in the peripheral direction in relation to the overall circumference. The calculation is performed at a section level depth corresponding to the material ratio of the twist surface of 80 percent. Twist Angle, Dγ [°] Angle between the peripheral direction and a twist structure. The angle is a right-hand angle (marked with +) when the structure direction moves from lower right to top left. The angle is a left-hand angle (marked with -) when the structure direction moves from lower left to top right. In 1997, Daimler published the first metrological principles for a standardized twist measurement technique. This can be used to derive relevant parameters for evaluating the seal function. The evaluation method has been further optimized in the latest 2009 version. The repeatability of the measurement results can now be significantly improved. It also ensures comparability when using different measuring instruments. Based on the principle of this standard, Jenoptik offers twist measurement technology and twist standards as an optional extension to its form and roughness measuring instruments.